Perhaps, Rachel Ray, Paula Deen, Gordon Ramsay, Wolfgang Puck, late Anthony Bourdain, and Jamie Oliver, are some of the top chefs you know or have come across. That’s not bad but have you ever heard the name, Vivian Howard? She is one of America’s leading female food experts who keep people coming back for more on their addictive cooking shows. If you haven’t met the famous chef in person or at least, watched throwing ingredients around in the kitchen on your television, the paragraphs below contain everything you need to know about Vivian, including information about her family, parents, sisters, net worth, and biography. Vivian Howard was born on American soil, precisely in Deep Run, North Carolina, in the year 1971. However, she is yet to disclose the exact day and month her parents gave birth to her. The chef studied at a Winston-Salem, North Carolina all-female Moravian boarding school called Salem Academy, from where she moved to Virginia Episcopal School and spent two years. She had her college studies at North Carolina State University, where she majored in the English Language. Vivian graduated with a Bachelor’s degree from the institution in the year 2001. It was while she was in the university that she did a course in Argentina for a semester, as part of a culinary-themed program. Shortly after Howard graduated from the university, she decided to move to New York City to work. Her first job was an advertisement job for Grey Worldwide, after which she began working at Voyage restaurant as a waitress. While there, Howard fell in love with Voyage’s executive chef Scott Barton’s expertise in the kitchen. Scott would become her early mentor. Vivian began her restaurant career at the New York-based Institute of Culinary Education. She graduated in 2004 and also did an internship at wd~50, an international restaurant owned by Wylie Dufresne. She also took up food lessons at Jean-Georges Vongerichten’s Spice Market, where she was trained as Chef de Partie. 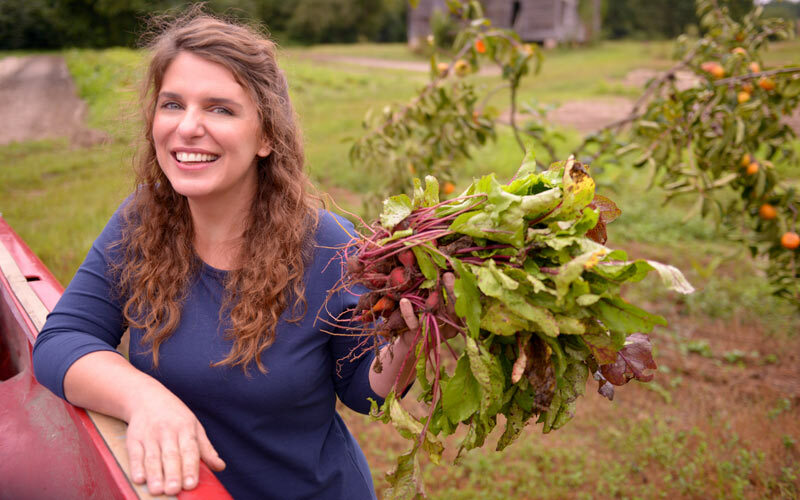 Apart from being a phenomenal chef and television personality, Vivian Howard is also a writer. Her cookbook, which was published in October 2016 and titled “Deep Run Roots – Stories and Recipes from my Corner of the South” remained on the New York Times Bestseller List for 3 weeks after making its way to the competitive market. It also earned the chef four IACP Cookbook Awards (Outstanding Cookbook in the General Category, Julia Child First Book Award, Cookbook of the Year, and Outstanding Restaurant Cookbook) in the year 2017. According to some sources, the American chef who cooks for therapy is set to write and release another cookbook in the year 2019. According to reports, the American chef’s net worth is estimated to be around $4 million. She tops up her bank account from the money she makes from her show (A Chefs Life), chef career, and cookbooks. 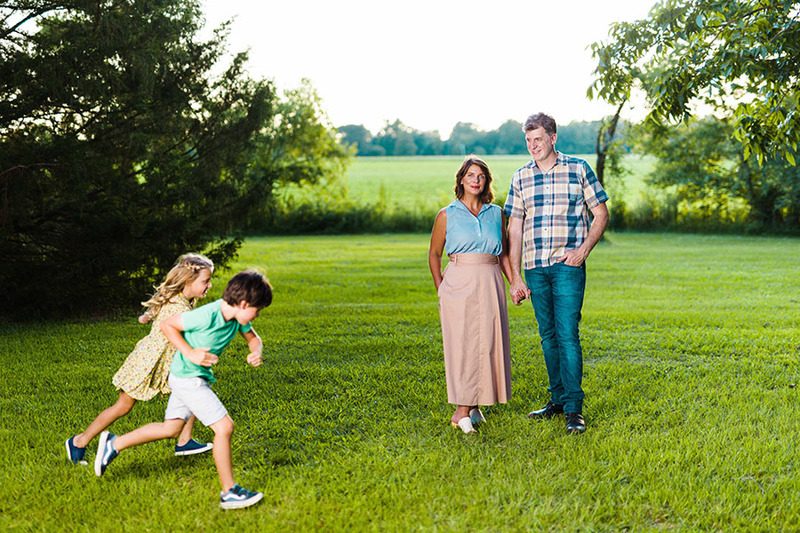 Vivian Howard is a super mom and wife. She has been living happily with her sweetheart, Ben Knight since they got married. Knight, who grew up in Chicago, met Howard for the first time while they were working at Voyage restaurant. After they eventually got married, the pair jointly launched a soup delivery business in Harlem and later bought a restaurant in Kinston at the request of Howard’s parents. This development gave rise to their relocation to North Carolina in the year 2005 and subsequently the opening of their restaurant – Chef & the Farmer in 2006. Howard and her husband, in 2013, launched a casual spot that serves burgers and oysters called the Boiler Room. Sometime in 2016, it was reported that the lovebirds were working to open a new restaurant called Benny’s Big Time Pizzeria in the Wilmington Warehouse District, 206 Greenfield Street, in Wilmington, North Carolina. Together the pair shares a twin boy and girl called Flo and Theo. Not much is really known about the kids. However, they sometimes appear in their mother’s show, where they help her in the kitchen. Vivian Howard is the daughter of Scarlett Howard (mother) and John C. Howard Jr. (father). The two were farmers who cultivated corn, tobacco, soybeans, and cotton and also raised hogs. Scarlett and John’s farm reportedly supply more than 60% of the ingredients used in the Chef & Farmer restaurant. In the year 2012, the restaurant building caught fire and had to be restructured. Nevertheless, the restaurant still strives to turn out modern interpretations of traditional regional food. Howard has a sister called Leraine Tolston. She doubles as the owner of the Kinston-based food restaurant Queen Street Deli. Leraine currently lives in Deep Run, North Carolina.